@leoni: Great link One off topic question, but related to history- Is it true that Berlin´s Pergamon museum is closed for reconstruction? Last edited by leoni; May 13, 2015 at 12:12 AM. 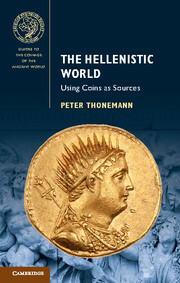 There is a new book coming out in December 2015 called The Hellenistic World: Using Coins as Sources. I cannot understand why EB 2 team would use Kaveh Farrokh's book as a source of information if they have better choice like George Rawlinson or other sources which is better and free of charge? What i see here is Kaveh Farrokh's book is a waste of time and money plus the team don't need those garbage information. i don't know the books you speak off, but nowhere is it written that these books were used by the EB team only; it's a bibliography used and suggested by the EB forum community, not the eb book. Also, a good historian reads books from many authors and decides which are good and which are bad by himself. But like i said, i don't know the author mentioned here. i have Farokh's book but havent read it yet. i hear it is somewhat biased, but so are some other sources listed in the bibliography, especially the older ones. nowadays, we all trained to read pass the biases so i personally dont see it as much of a problem, so long it does not distorts the actual 'facts' or turns into a sort of xenophobic rant. in any case, we have both Farrokh and Rawlinson listed. to expand his/her horizons, a good student would probably want to read both (if only and conclude that Farrokh isn quite up for the task). Also you can write review here. To point at strong points and weak points of this book/author. It will be interesting to read about him as the Pen and Sword is planning trilogy about Persian ancient armies. 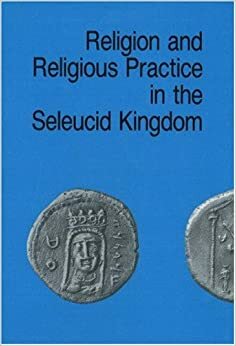 Religion and Religious Practice in the Seleucid Kingdom. The Metropolitan Museum of Art offers countless of their publications that are out of print as PDF Download (http://www.metmuseum.org/research/metpublications/). Among those there are also several books and articles concerning classical and hellenistic time and several different cultures. Hope you like it just as much as I do! There are several more on there! Shall I put them together in a list as well or will you refer to the met-museum-link anyway with the hint that there is more to get for everyone who's interested? I will post a review when I get time, but just a quick word they are very in depth pieces of scholarship- not for the faint hearted. But if interested in the Seleukids very recommended. Last edited by Basileos Antiokhos Euergetes; June 08, 2015 at 10:34 AM. Ptolemy Walter M. Ellis-Ptolemy of Egypt (1993) Paul McKechnie, Phillipe Guillame-Ptolemy II Philadelphus and His World (History and Archaeology of Classical Antiquity) (2008) (Papyrologica Coloniensia 6) J. David Thomas (auth. )-The epistrategos in Ptolemaic and Roman Egypt_ Part 1 The Ptolemaic epistrategos-VS Verlag für Sozialwissenschaften (1975) J. G. Manning-Land and Power in Ptolemaic Egypt: The Structure of Land Tenure (2003) Susan A. Stephens-Seeing Double: Intercultural Poetics in Ptolemaic Alexandria (2003) Brian Muhs-Taxes, Taxpayers, and Tax Receipts in Early Ptolemaic Thebes (The Oriental Institute Of the University of Chicago; Volume 126) (2005) Persia Vesta Sarkhosh Curtis, Sarah Stewart-The Idea of Iran Volumes I-III (Achaemenids to Sassanian dynasties) Cambridge History of Iran II-III Christopher Tuplin-Persian Responses: Political and Cultural Interaction Within the Achaemenid Empire-Classical Press of Wales (2007) Amelie Kuhrt-The Persian Empire: A Corpus of Sources from the Achaemenid Period Vol.1-Routledge (2007) John Curtis, St. John Simpson-The World of Achaemenid Persia: The Diversity of Ancient Iran-I. B. Tauris (2010) Javier Álvarez-Mon,Mark B. Garrison-Elam and Persia (2011) Seleucids Ronald Wallenfels-Seleucid Archival Texts in the Harvard Semitic Museum (Cuneiform Monographs,)-Brill Academic Publishers (1998) G. G. Aperghis-The Seleukid Royal Economy: The Finances and Financial Administration of the Seleukid Empire-Cambridge University Press (2004) Macedon (Meletemata) Miltiades V. Hatzopoulos-Macedonian institutions under the kings. Vol. I-Diffusion De Boccard (1996) (Blackwell Companions to the Ancient World) Joseph Roisman, Ian Worthington (eds)-A Companion to Ancient Macedonia (Ancient Warfare and Civilization) Ian Worthington-By the Spear: Philip II, Alexander the Great, and the Rise and Fall of the Macedonian Empire-Oxford University Press (2014) Pergamon/Attalids R. E. Allen-The Attalid Kingdom: A Constitutional History-Oxford University Press, USA (1983) Piok Zanon-The Sanctuary of Demeter at Pergamon: Architecture and Dynasty in the Early Attalid Capital (2009) Arabia Robert G Hoyland-Arabia and the Arabs: from the Bronze Age to the coming of Islam-Routledge (2001) General Hellenistic M. M. Austin-The Hellenistic World from Alexander to the Roman Conquest: A Selection of Ancient Sources in Translation-Cambridge University Press (2006) John R. Bartlett-Jews in the Hellenistic World Volume I, Part I Ronald Williamson-Jews in the Hellenistic World Volume 1, Part II Sheila L. Ager-Interstate Arbitrations in the Greek World, 337-90 B.C. (Hellenistic Culture and Society)-University of California Press (1997) Also a curveball; László Török-Hellenizing Art in Ancient Nubia 300 B.C. - AD 250 and its Egyptian Models (Culture and History of the Ancient Near East) -BRILL (2011) Steppe Peoples Christopher I. Beckwith-Empires of the Silk Road (2009) Various Trevor Bryce-Ancient Syria: A Three Thousand Year History-Oxford University Press (2014) Alexander Herda-Greek (and our) Views On The Karians) The terrific Osprey series on ancient warfare. thats quite a collection, thanks. i'll go through it once i get some free time and add the titles to the op. thanks again. The Central Balkan Tribes In Pre Roman Times: Triballi, Autariatae, Dardanians, Scordisci And Moesians. Author: Fanula Papazoglu. Basically what it says on the cover. I found it somewhat dry to read, but this one is probably a very good introduction to the region and time-frame. The Policy of Darius and Xerxes towards Thrace and Macedonia. Author: Miroslav Ivanov Vasilev. Again, what it says on the cover. As can be expected this book focuses on a very specific time-frame and in my opinion it seems to require a basic familiarity with the subject matter as it doesn't really provide a chronological overview and mentions several historic events without further explanation. Thrace & the Thracians. Authors: Alexander Fol & Ivan Marazov. Nice introduction to the subject and provides a very extensive overview of Thracian religion and the ideology of Thracian kingship. I sadly found the historical overview included at the end rather short and somewhat lacking in detail. At times I also got the feeling the authors were somewhat biased, but this may have been the result of my own bias, so to speak. I will leave this for potential readers to decide for themselves. The Odrysian Kingdom of Thrace: Orpheus Unmasked. Author: Z.H. Archibald. Oh boy, this is a tough one. Probably the most extensive and detailed of them all, but also the least suitable for anyone unfamiliar with the subject or historical works in general. Expect archaeological and historical terminology, numismatic discussions and in-depth theorizing about (e.g.) the relations between Odrysian princes and the Greek colonies both on the coastline and inland. For my research purposes it was unfortunate that the focus does not extend beyond the early Hellenistic period, but I don't blame the author for drawing a line at some point (the book is heavy enough as it is ). I hope these additions will be of some help to anyone interested in the subject.